I’ve found myself going through this episode throughout my life, but it has hit me especially hard during my college years. I’ve come to realize my thoughts are like a black hole at night: never-ending with no solutions. During the day, I am stacked with classes from the morning till late afternoon, then a night class once a week. In between all this, I have an internship, student activities, and study time in the library. I even go to the gym at least a couple times a week, not just to get exercise, but to purposely drain myself. My mind, which is annoyingly active, sprints through the usual topics before I fall asleep—family, friends, relationships, school. The topics that haunt me are the “what ifs” of life, the unpredictable future. Ugh, now my anxiety levels are going up. I visualize myself planted in the middle of a Hawaiian beach, relaxed by the waves. Failed attempt. 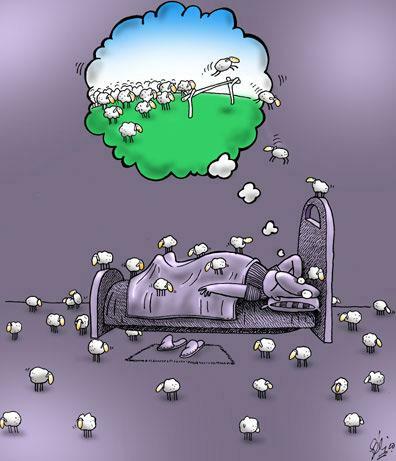 All right, time to count sheep. Exasperated, I wake up to write in my personal blog. My ultimate remedy for this problem? Go to the kitchen to fix myself a 4th meal.